For a limited time only, Starbucks' signature Coffee Frappuccino is made even more exciting with java chips, a line of mocha sauce, chocolate whipped cream, aromatic Turkish coffee grind and a cookie straw. Coz seriously, why settle for a green straw when you can use an edible wafer biscuit lined with rich chocolate ganache in sweet wafer and chocolate flavor, right? 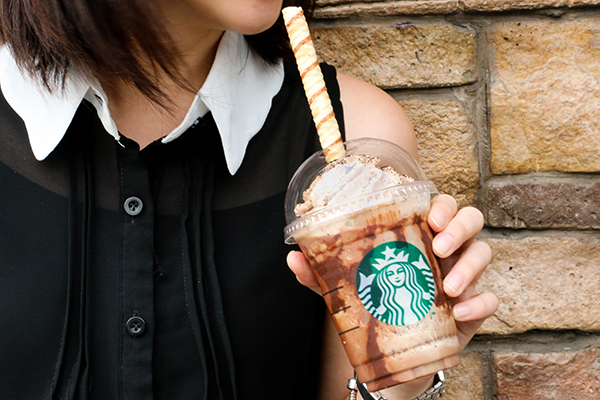 The Mocha Ribbon Chip Frappuccino Blended Beverage with Cookie Straw is available on July 4 – 10, 2016. The Frappuccino Cookie Straw is available for purchase separately starting July 11.